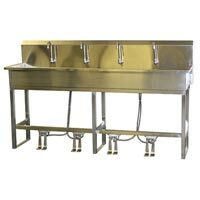 Stainless Steel Floor Mount Clean Sink with Foot Pedals that we offer has a heavy-duty floor mounted base tubular frame. It is used in areas where high capacity wash stations are needed. 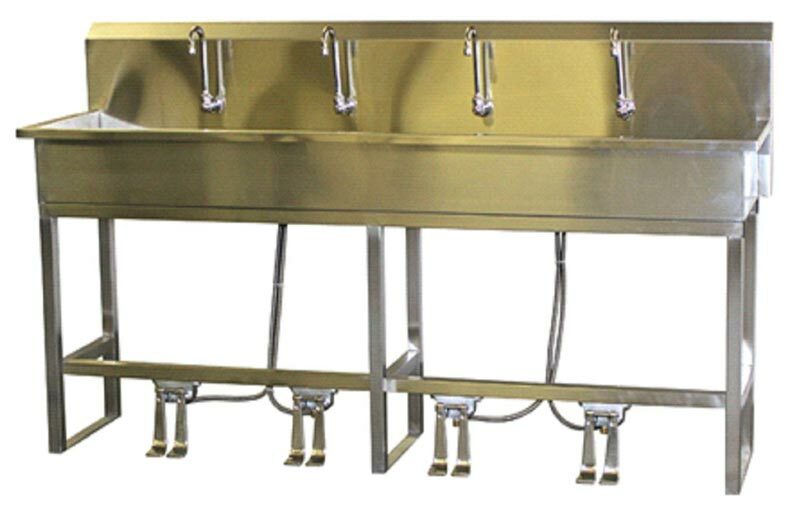 Our Floor Mount Clean Sink is perfect to be used in veterinary schools, university labs, health care facilities and pharmaceutical laboratories. 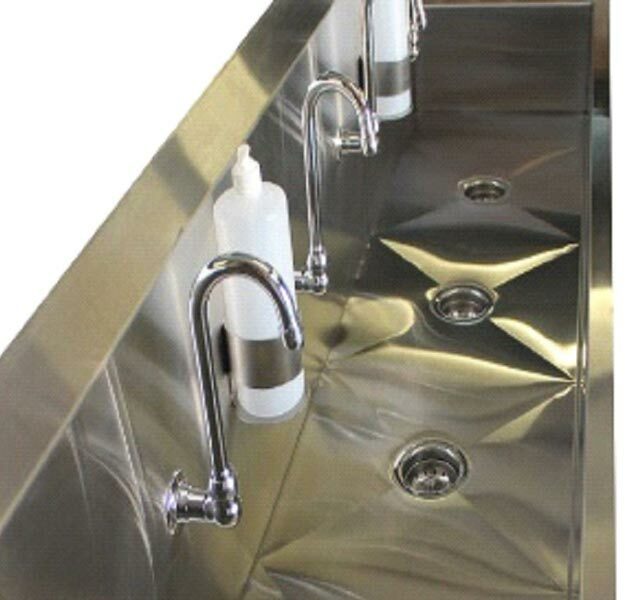 It is manufactured using 304 stainless steel that is corrosion resistant, easy to clean, and prevents the development of germs and bacteria. 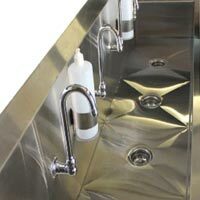 The sink features hands free goosenecks, foot pedal actuation and braided stainless lines. Soap dispensers, motion sensor operated goosenecks and under shelving are also made available on demand.